For years, Carl Blackburn has advocated gold recycling as one of the steps to help limit the environmental damage caused by gold mining. Today, his company San Diego Jewelry Buyers is a nationally-recognized estate buyer of luxury assets such as pre-owned gold, diamonds, and Swiss watches, while promoting the recycling, refining, and refashioning of used gold into new pieces of sought-after fine jewelry. According to Blackburn, his San Diego gold refinery service cuts out the middle men that other gold buyers use and is one of the reasons he pays the highest prices for gold in California. Another reason for the company’s high payouts to gold sellers is that (unlike a traditional San Diego gold refinery), it does not melt down all of the gold that it buys. 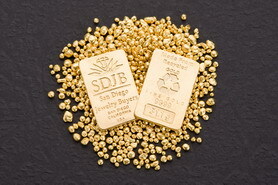 “At SDJB we have a worldwide network of jewelers and wholesalers to which we sell gold jewelry. In addition, we have our own in-store showcases from which we sell vintage and branded 14k and 18k gold jewelry at a fraction of the retail price,” says Blackburn. “Our deep background in the fine jewelry industry enables us to identify premium gold jewelry, which never should be melted down, and then pay the gold seller a premium price for it,” he adds. A vocal advocate of ethical business practices among gold buyers, San Diego Jewelry Buyers™ is a member of the Better Business Bureau, Ethical Metalsmiths, and the California Pawnbrokers Association. Due to his standing in the San Diego business community, Blackburn was interviewed by San Diego’s KUSI TV as a trusted source on how to avoid getting scammed by unscrupulous gold buyers. In addition, his company has an A+ BBB rating and his staff must pass through a rigorous apprenticeship system to ensure that every customer receives the best service and price when selling their pre-owned gold. “We work extremely hard to make sure that every gold seller is comfortable and happy from the time they walk into our offices, to the moment they walk away with more cash in their pocket,” says Blackburn. The company’s dozens of five star customer reviews are a testament to their commitment to such customer service. 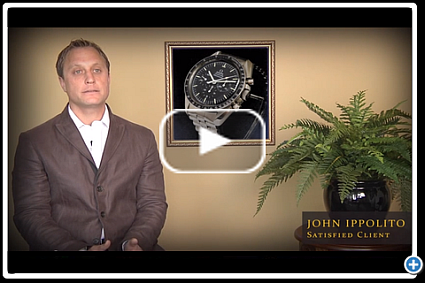 For more information, including video testimonials, please visit them at SanDiegoJewelryBuyers.com.